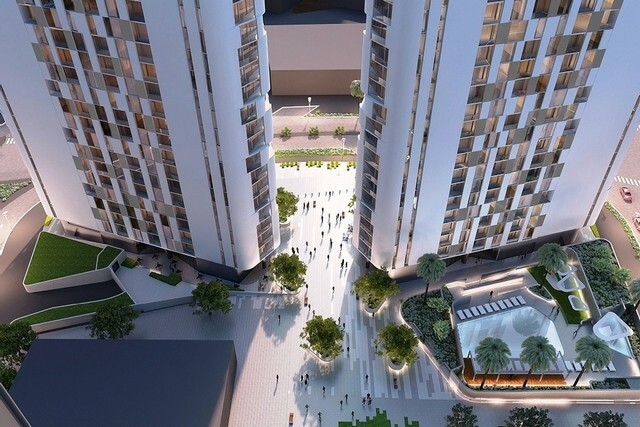 Work on Aldar Properties’ first mid-market housing block in Abu Dhabi is set to start after the developer awarded the contractor Fibrex a Dh258 million contract to build it. Construction work on the two 26-storey Meera Shams towers in the Shams area of Reem Island in the capital will start immediately, Aldar said. The planned project, which will comprise 400 apartments overlooking a landscaped park, is set to be the developer’s first housing project aimed at mid-market buyers. Sales at Meera Shams were launched in June last year aimed at residents on a salary between Dh20,000 and Dh30,000 a month, with prices starting from Dh900,000 for a one-bedroom flat. “From day one the response to Shams Meera has been really encouraging, showing us that there is significant demand for high quality mid-market homes in Abu Dhabi’s prime destinations,” said the Aldar chief executive Mohamed Khalifa Al Mubarak. Aldar said that the buildings would also include an underground basement car park, a garden area, swimming pools and a children’s play area. The surrounding neighbourhood has been designed to include canal walks, parks, a public beach, community mosques, schools and hospitals, clinics and shops.